Now that we’ve covered a fair amount of ground about the imagination and Tolkien’s idea of Sub-Creation, in this installment we’ll put Some more of the pieces together in order to form a valuable tool for tender-minded apologetics. 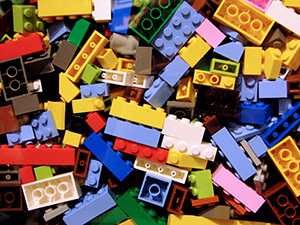 So, what do imagination, Lego bricks, and Sub-Creation have to do with apologetics? At first thought, the most natural place for apologists to run to would be the idea of teleology. There is a purpose, an end or goal, to the use of building toys such as Lego bricks: there is both creative imaginative play as well as instructions and design. One can see the Lego watch sitting on display and discern that there must have been a Lego watch-maker. These kinds of apologetic methods are useful tools in the apologetic task. But I think there is more to be said about imagination, sub-creation, and apologetics. Once again, Tolkien’s writing provides a valuable insight. One of the geniuses of Tolkien’s writing is his unparalleled ability to point out the extraordinary in the ordinary. Hobbits are a perfect example of this. Tolkien is able to achieve this by means of three facets of good fantasy story telling: Recovery, Escape, and Consolation. Briefly put, Recovery is regaining a proper view of the world we live in. The potency of the written word helped Tolkien to regain a proper view of the world. In other words, literature (art) helped him to understand reality. Escapist is often the charge critics lay at the feet of those who read fantasy. Tolkien, however, saw Escape as a benefit. Why should a man who is unjustly imprisoned not want to be set free? Good fairy stories, Tolkien says, provide us with a view beyond the noise of this world, the hunger, poverty, illness, and death. They give us a glimpse of freedom. This is where Lewis and Tolkien agreed immensely; that good stories pointed them to the true story of the Gospel. Lewis’s “stabs of joy” were similar to the escape Tolkien describes. Finally, Consolation is the happy ending, or as Tolkien called it, the eucatastrophe; a good catastrophe. This was the sudden turn of events in the story, like when Gandalf reappears in Mirkwood or the Eagles rescue Frodo and Samwise from Mt. Doom. Through his storytelling, Tolkien gives us glimpses of the Primary World within his secondary sub-created world of Middle-Earth. The connection is found in the eucatastrophe. 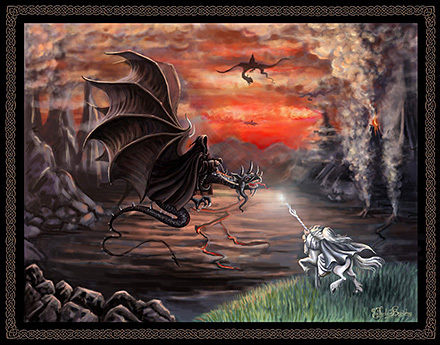 Tolkien found similar elements of fantasy and storytelling in the true story and historical events of the Gospel. Here is how he worded it in his essay. And I quote him at length here. …The Gospels contain…a story of a larger kind which embraces all the essence of fairy stories. The birth of Christ is the eucatastrophe of Man’s history. The Resurrection is the eucatastrophe of the story of the incarnation. This story begins and ends in joy. It has pre-eminently the inner consistency of reality. There is no tale ever told that men would rather find is true, and none which so many skeptical men have accepted as true on its own merits. For the art of it has the supremely convincing tone of Primary Art, that is, of Creation. To reject it leads either to sadness or wrath. Tolkien summarizes well the connection between his own writing, sub-creating, and the Scriptures, the overlap between his own imaginative literary world, and the historical events that happen in the Primary World in Jesus’ life, death and resurrection. 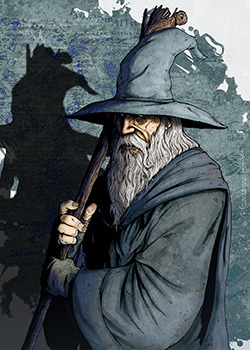 What Lewis and Tolkien, and others have done in the fantasy genre, and in literature on the whole, could be done elsewhere by others. Part of their success comes, of course, from their own imagination and creativity. Thankfully, their writing is contagious. When reading their works the reader’s imagination and creativity is awakened and set free as well. Those who desire to be good storytellers and good apologists of the faith should spend time reading and surrounding themselves with good books by good writers. One good story leads to another. That’s what I was doing as a little boy playing in my room with Lego bricks. I was sub-creating. I was doing what Tolkien had done with words in the form of interlocking plastic bricks. It wasn’t, of course, the same degree or quality, but I was using the same ingredients: Imagination and Art. Pieces led to imagination. Imagination led to building. Building led to storytelling. You see, children don’t simply build stuff and let it sit around to gather dust. No, when children build they are sub-creators. Their work is full of imagination and art. (I love watching our three-year old daughter Zoe doing this. It’s fascinating and delightful). Along with their creations, they develop a story. In fact they’ll tell you the story too, even if you’re not particularly interested in hearing it at the time. (Talk about a good lesson in evangelism and apologetics!). J.R.R. Tolkien, On Fairy Stories, in Tree and Leaf. London: Harper Collins Publishers, 2001. p.71-73.